One of my favorite pieces I recently added to my closet is a red plaid flannel shirt that I bought from the boutique I work at, Veruca Salt. It’s warm, cute, and I can make a lot of outfits with it. 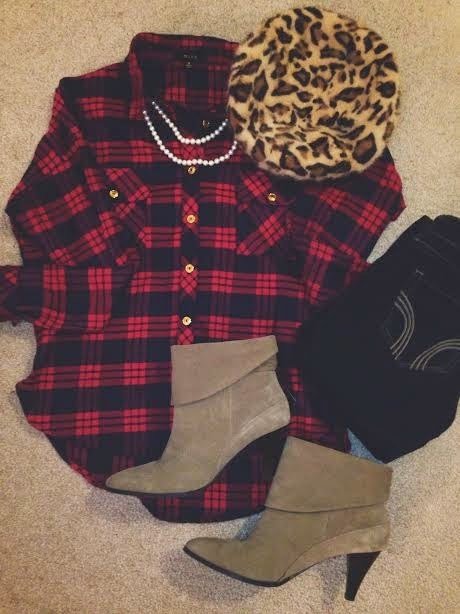 I added some short booties and pearls to accessorize this outfit. I love mixing patterns and this warm cheetah hat from H&M goes with so many outfits! This is perfect for a casual date or meeting up with someone for lunch or coffee. 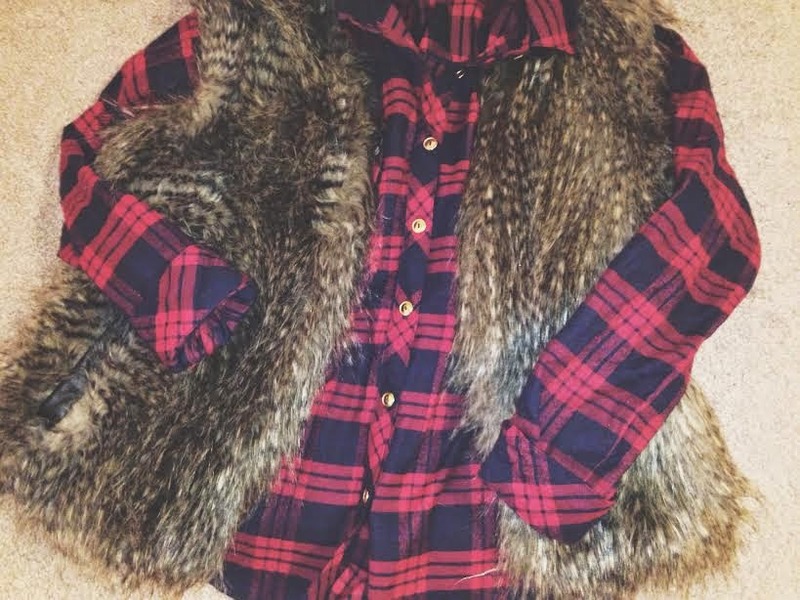 If you go on Pinterest you probably see TONS of pictures of plaid and fur outfits. I have to say it’s chic and warm! If you have a fur vest, try it out. If you don’t have a fur vest, look into them they are so cute! As I said before, I love mixing patterns. 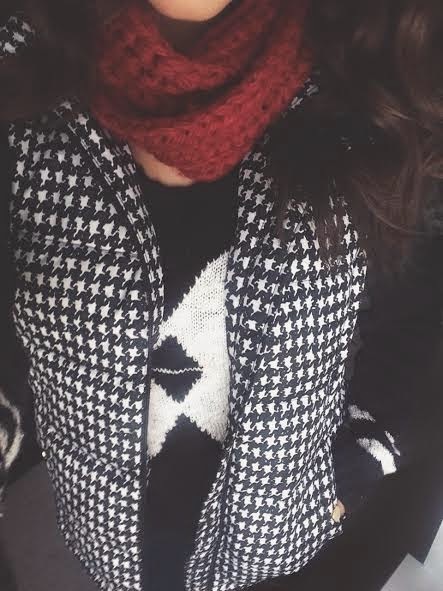 I wasn’t sure about mixing houndstooth and plaid, but it looked so cute on with riding boots. 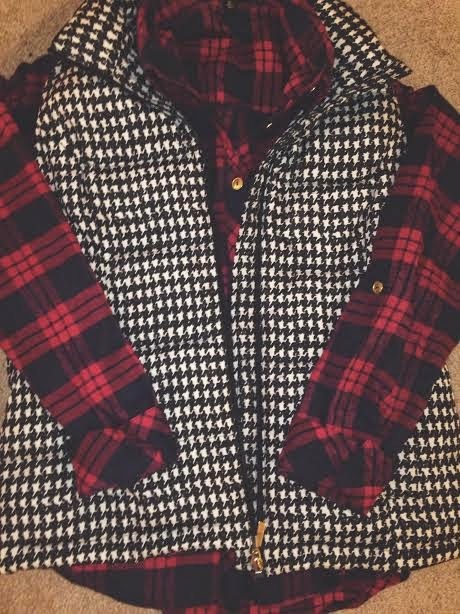 This vest from Macy’s was also a latest edition to my closet and I ended up getting it on super sale! Again, so cute and warm; I’ve already worn it quite a few times. With all of these holiday sales coming up will you be buying yourself one of these fashion pieces? or maybe a holiday gift from someone else?